Ask Agony Aunt Poppy I Found Drugs in my Sons Pocket, Help! Ask Agony Aunt Poppy – I Found Drugs in my Son’s Pocket, Help! I am a single parent to my 19 year old son who lives with me. I love my son dearly but due to his reluctance to work, am struggling to make ends meet. He is rarely out of bed before 2 in the afternoon, doesn’t help with chores, pays me no money for his keep and stays out until the early hours most nights. I have been worried about what he gets up to for a while, as have noticed him losing weight and turning his nose up at the meals I cook for him. Last week I discovered a small clear plastic bag with white powder in, in his jeans pocket. I was picking up his clothes off the floor when it fell out. I’m worried that if I challenge him he will think I’ve been snooping in his room. I am now worried sick that this powder could be some kind of drugs. What if it is drugs? What can I do to help him get off of them? How do I broach the subject without him getting angry and storming off? (this is what he usually does if I challenge him). The whole situation is keeping me awake at night, I am terrified he will do himself some real harm, or just won’t come home at all one night. I’ve been worrying constantly ever since and feel really out of my depth as how to help him. I really think that all the things you are currently doing for your son, ie cooking, picking up his clothes and paying his keep are only hindering him in growing up and taking responsibility. The package that you found, does indeed sound like it could be drugs. But without either your son confirming what the powder is, or a laboratory running tests, it is impossible to tell for sure. But I have to say, it doesn’t look good! The suspicious powder, together with the fact that he is being defensive, sleeping most of the day and has little appetite, all indicate that he could be taking drugs. 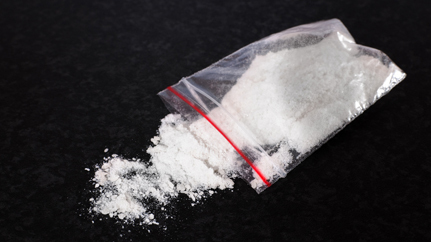 Class A’s such as Cocaine and also some Legal Highs and Amphetamine based powders can come in the form of a white powder. However without talking to him, you cannot be sure if he has an addiction or is just experimenting with friends. I think that the real issue here is that you have yet to cut the apron strings with your son. You are allowing him to treat your home like a hotel and this is causing you anxiety. You have a right to know if he is bringing drugs into your home. The less money you take from him to pay for good and stabilizing things, such as a roof over his head and food, the more money he will have to squander on things such as alcohol and drugs. Your son is an adult and with adulthood comes a learning curve of responsibilities. The lessons he should be learning now will help him to mature and look after himself in the long run, so don’t feel bad or guilty about asking him to pay for his keep. I think the best way forward here is to put some boundaries in place that you expect your son to adhere to, such as paying rent, job hunting, helping with chores, no drugs and not sleeping in every day. Speak to him about the powder that you found, it shouldn’t be ignored. He may have, or be on his way to developing a real problem. It is likely that he may say he was holding it for a friend, but by putting in boundaries, you are giving him the opportunity to accept responsibility for himself. You must be prepared to stick to the boundaries, as if your son thinks there is a chance you wont, he will ignore them and carry on as he is.